I chose to order the less expensive belt (universal replacement). It's a bit bigger than the belt I removed, so I figured it would slip, but it is also a bit wider than the OEM belt. So far, just fine, but figure it might not last very long. I guess after 15 years with the original, if I chose not to buy the OEM one, than not too bad if I need to buy another one on the early side. 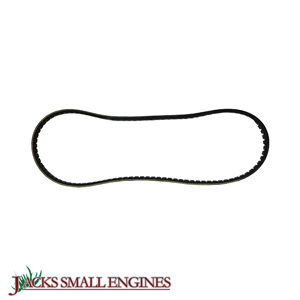 Ask us about the Stens 265995 OEM REPLACEMENT BELT. Please no repair questions. Your Q&A may be posted to Jackssmallengines.com to help other shoppers, like you, with their purchasing decisions. Thank you.